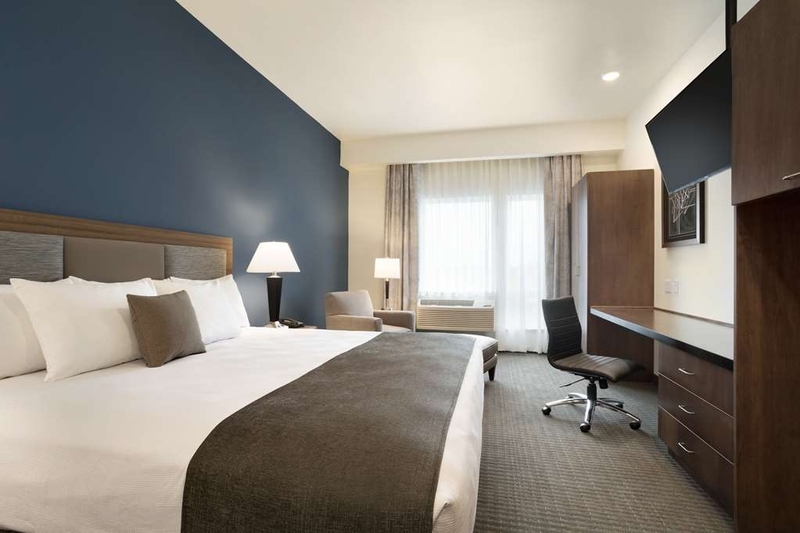 El Best Western Plus Peppertree Nampa Civic Center Inn se encuentra en el centro de Nampa. Venga y disfrute de las mejores atracciónes turísticas cerca de nuestro hotel. Precios bajos garantizados y ofertas exclusivas. 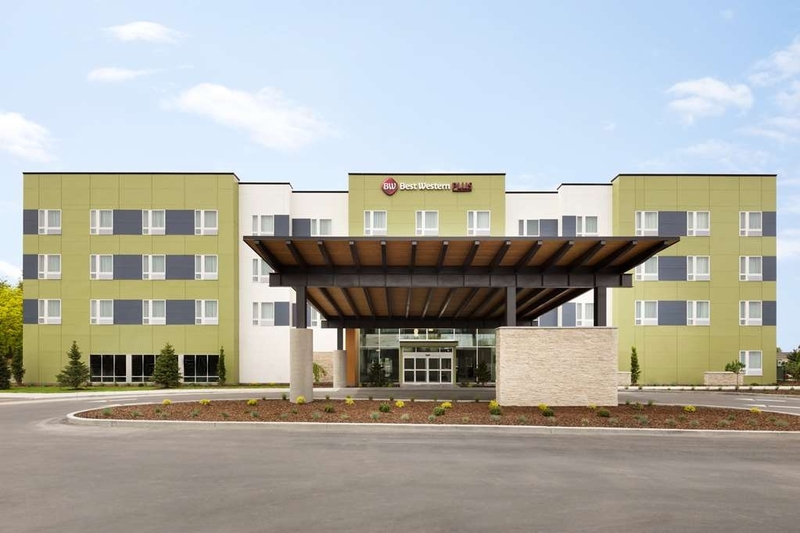 Si desea disfrutar de un cómodo acceso al centro municipal de Nampa y su zona de tiendas y restaurantes, escoja este hotel de nueva construcción de Nampa, Idaho. 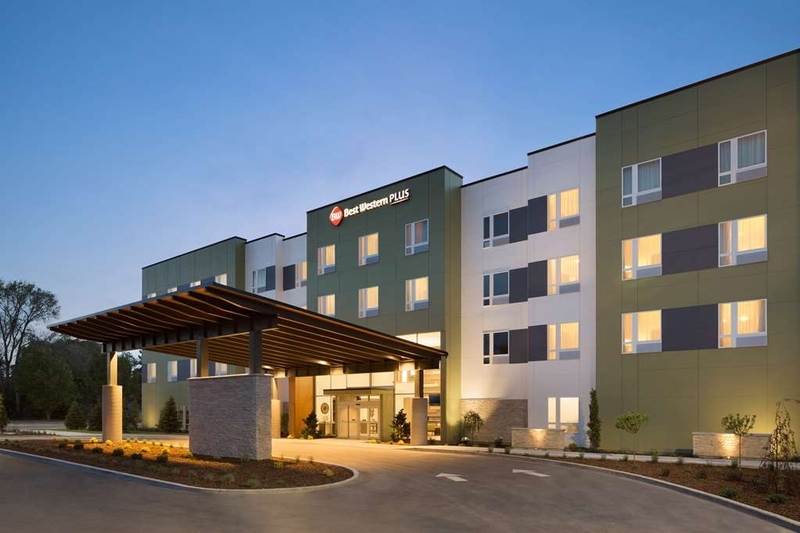 El Best Western Plus Peppertree Nampa es un nuevo y flamante hotel situado junto numerosos restaurantes y tiendas. Alójese en nuestro hotel a la hora de hacer negocios en la ciudad o si desea disfrutar de un cómodo espacio de alojamiento durante su estancia de corta o larga duración. Todas nuestras habitaciones cuentan con una nevera para mayor comodidad de los huéspedes. Disfrute de un desayuno completo gratuito servido cada mañana y de exquisitas opciones gastronómicas en Junction Kitchen & Lounge a cualquier hora del día. Relájese y desconecte de todo con su bebida favorita en nuestro salón de cócteles o disfrute de un baño en nuestra cubierta climatizada. Nuestro hotel cuenta también con una bañera de hidromasaje para uso de los huéspedes. Nuestro gimnasio abre sus puertas las 24 horas del día y está equipado con aparatos de levantamiento de pesas, gimnasio universal, cinta de andar y simulador de escalera. Nuestra excelente ubicación y nuestras modernas habitaciones nos convierten en la opción de alojamiento idónea para aquellos huéspedes que deseen asistir a los eventos deportivos celebrados en el centro municipal de Nampa, el Ford Idaho Center o el campus de la Northwest Nazarene. Adéntrese en el Museo del Aire Warhawk o contemple los ciervos de la Reserva Nacional de Fauna a poca distancia en auto. Aquí podrá encontrar un amplio espacio de estacionamiento compartido con el centro municipal de Nampa. Tanto si se encuentra de visita en la ciudad por unos pocos días como para una toda la semana, alójese en nuestro nuevo hotel de Nampa, Idaho, para disfrutar de unas relajantes habitaciones y de un cómodo acceso a las atracciones de la zona. Realice su reserva hoy mismo en www. bestwestern. com para acceder a las mejores tarifas disponibles con nuestros precios bajos garantizados. "Great Secret and a wonderful Hotel"
The building is very clean and modern. The guest rooms were roomy and peaceful. 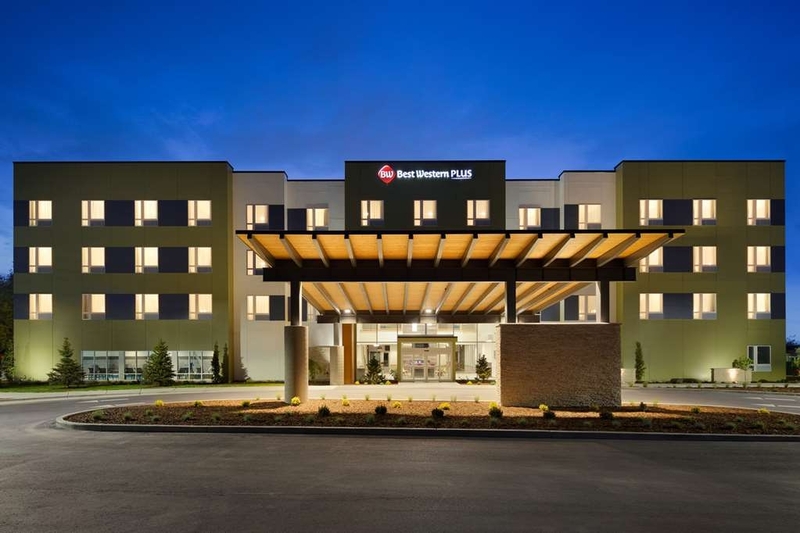 This will be my hotel of choice when in the Boise area (my wife and I have stay at several). Excellent value for the dollar. After driving for 10 hours the nice hot - with plenty of pressure - shower was a delight. The bed was great - comfortable - not too soft, not too firm. "Quiet, Clean and Vey Modern"
Very nice place to stay. It is very quiet-a bit off the beaten track and is new and modern. Our room was excellent-super clean and very comfortable. Staff was friendly and helpful. Breakfast had quite a variety of food and everything was refilled quickly as needed. Very Clean. Only compalint was in the lounge/restaurant where we had a difficult time getting an order placed and our bill paid. Frustrating when you are travel-fatigued. Will stay there again with no hesitation.. The hotel is new and modern. Checkin was fast and easy. The room was spanky clean. 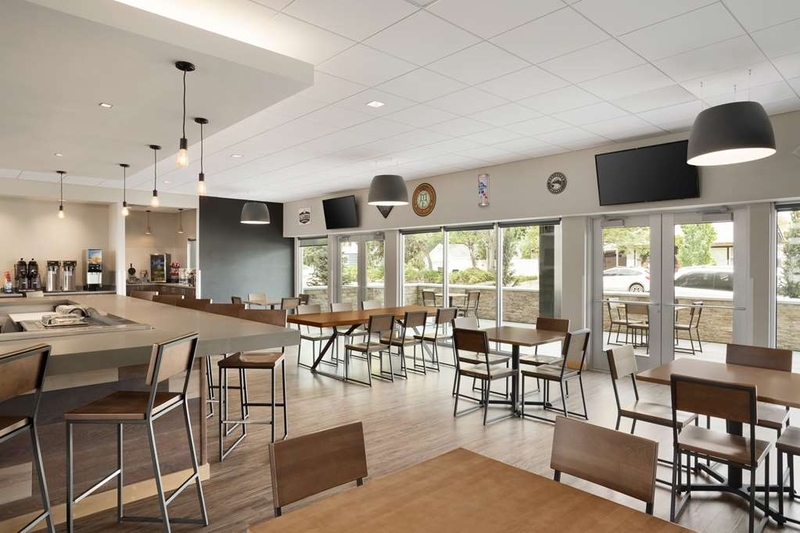 Although we didn't use the facilities, there is a restaurant and small bar on-site as well as a pool and fitness facility. It's a good location, close to many amenities. I would not hesitate to recommend this hotel, and I would definitely stay again. So thankful we picked this motel for our 3 day stay in the area. Everything we experienced was far above the normal for a motel stay. Everyone on the staff was extremely friendly and helpful. Highly recommend!! 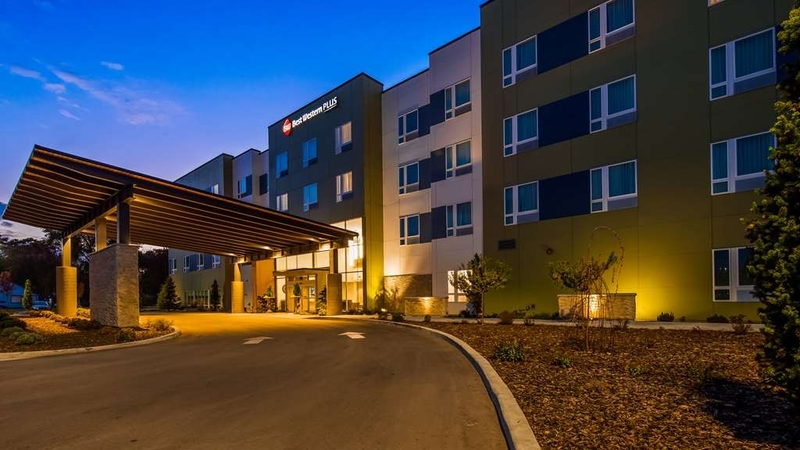 We travel through Boise several times a year and find this hotel very convenient off the highway. A little modern for our style but very clean and spacious rooms. A good price for rooms with plenty of parking for coming & going. "Great spot to stop in Nampa"
We always stay at this hotel on our way to the Pacific Northwest. It is always very neat and clean and the staff is friendly. They have a bar which is limited and a food menu to go with it. A compliment to the chef the food is always hot and fresh and is brought out in a timely manner. The breakfast bar has a good selection with some healthy choices. The only thing off this time was the bar. They were out of most items and the bartender seemed kind of lost. Extremely clean, quiet and up to date. Fast and friendly service makes for a very pleasant stay. It's convenient location makes it my go to spot when staying in the Boise area. Always made to feel welcome and at home. "Nice hotel if you liked getting charged for things you didn't purchase. " I stay at many hotels for business purposes. I was charged for food & beverage and I didn't even eat at this place ? When I called to ask them to remove the charges the girl told me she was not able to do that ? Had to call Amex to let them know that a fraudulent charge was on my card and since I am on hold with my cc company I felt like that would be a great time to let people know about the ethics of this hotel. I would not stay here ever again ! This hotel was very clean and modern, the pool/spa were excellent and the breakfast selection was awesome. A very good price for such a nice hotel! Our room did not have a microwave, but it did have lots of space and it was very functional. The walk in shower was big. I felt very comfortable having my two kids in this hotel. It had a restaurant/ lounge but we did not get to experience it because we stayed on a sunday. Definitely a good place to stay if you are budget conscious as it is a great value for the price! "Great stay with friendly staff." Great Room with friendly staff and a nice breakfast. Staff was friendly and helpful with a fast check in with Brandon. Elsa was very friendly and helpful to us. We would highly recommend staying here to anyone. The entire hotel was very clean and quiet. The continental breakfast was vast and delicious. Check in and out was a snap. 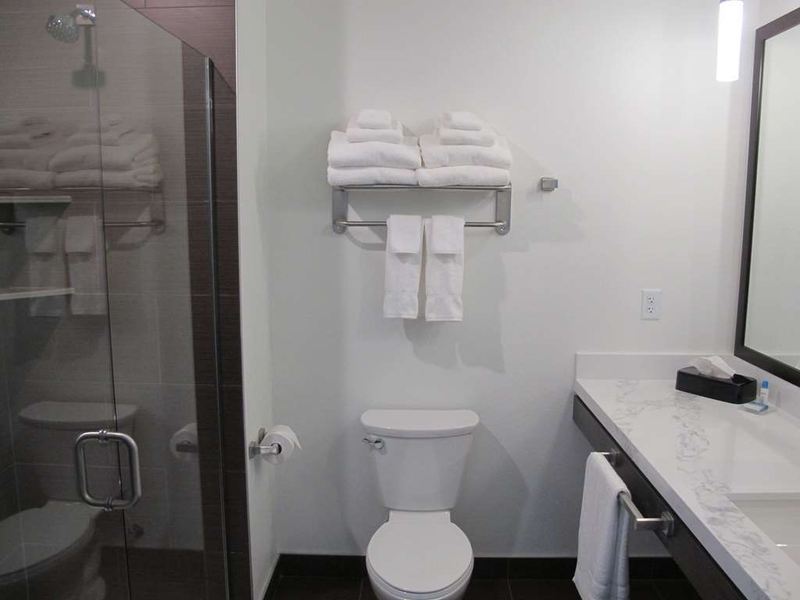 All amenities were clean, functional, and adequate. I will stay here again next time I'm in the area. "Originally gave it a 5 star, amended review due to problems on day of checkout"
This is an amended version of my original review. I submitted a review after staying 2 days at this hotel. I will include what I originally wrote, and then add the problems that occurred on the third morning at the end of the review. This is the second time we have stayed at this hotel. Our checkin both times was extremely slow. We weren't sure why it took so long. Our room however, was fantastic. We had a king room with a pull out sofa. The bed was comfortable, (however the pillow was a little high for me), the heat worked well, the shower had good water pressure with lots of hot water, shampoo, gel and conditioner available in the shower. Plenty of closet space, quiet room on 4th floor at the end of the hall. TV worked well with lots of stations. Breakfast had a lot of options. Perhaps could have little more fresh fruit. On Saturday morning all the tables were full. My husband used the gym and said it was a decent gym and he was the only one using it. In reading some of the reviews I would say the reader who said there bike was stolen has a valid point. This hotel is in an industrial area in downtown Nampa. The parking is not secure. I would not leave any in the car if I were to stay here. Other than that I would definitely stay here again. AMENDED- as we were packing up to leave I shook the blanket to make sure that we had not left anything at this hotel. A couple of flies few out of the blanket. My husband wanted to see if they were truly flies and climbed up on the desk to kill them near the ceiling. Much to our dismay there was animal feces on top of the closet. It pretty much grossed us both out. I wondered the first night when I was staying here why I was coughing so much. I have allergies to cats and dogs. Obviously there had been an animal in this room. At checkout we mentioned this problem to the manager. He apologized and told me that the room should have been a pet free room. I am wondering how an animal and its droppings could be in a room and the maids not notice? The hotel was very quiet, comfy, and homey feeling. Staff was nice and very helpful with anything I asked for. They provided a pack and play for for my youngest to sleep in, helped me take bags to room as I had three children with me 2 under 2! Very happy with my stay here. This establishment exceeded all of our expectations and was very nice. The morning breakfast was one of the better ones we have had. This Best Western was in very good condition and everything was very nice. Staff in the lounge and breakfast area were very nice and helpful. I travel for my job in the Pacific Northwest and have stayed virtually everywhere. The Best Western is the worst place I've ever stayed period. I found two “water bugs” crawling under the sheets and washed one down the bathroom sink. I called the front desk to let them know and the employee laughed. I had to ask for her name close to a half dozen times before she relented and stated her name was Brenda [-]. Apparently, she found it funny that I and probably others went thru this. Terrible service and mocking or laughing at customers should be frowned upon. Not here though. Shameful behavior. Save your money and stay at the Super 8 just off I 84. I found this hotel just outside of Boise and the distance from the city yet still close to amenities for dinner/drinks. This place is one of the nicest hotels in the area and for the price it is well worth it. You will not be disappointed if you book here. I stay here 4-8 nights per month. Very clean and new. Breakfast was average. Missed my biscuits and gravy. Service was good with refilling the items and cleaning tables as soon as people left. There were not any tables left dirty. They were on it.! "Beautiful hotel; breakfast and lounge not so much"
I stay in many different Best Western hotels. The Peppertree brand leaves something to be desired. 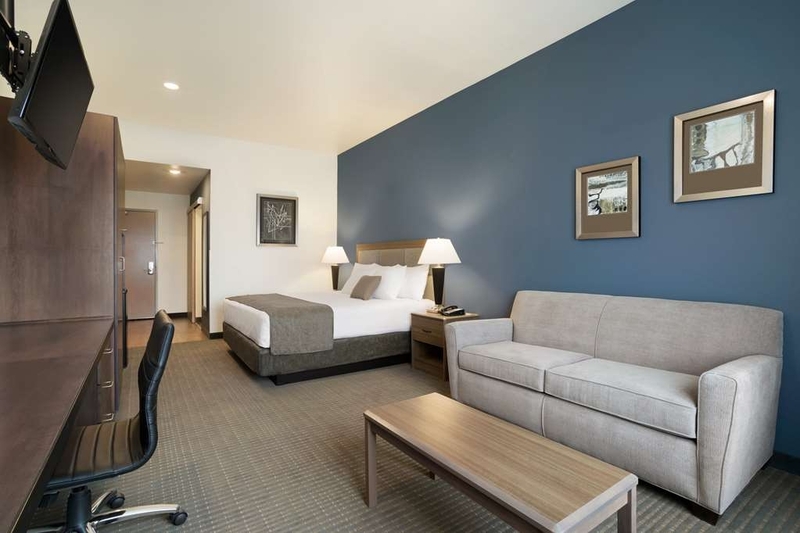 The rooms in both Nampa and a Omak are nice, clean, and modern. The beds are comfortable. However, the breakfast is the worst of any I have stayed at. Very little selection, and limited hours, unless you are an early riser. In the Nampa lounge at happy hour I had the worst, most expensive gin and tonic I've ever had. Not even Hilton or Marriott charges as much. In Nampa on my most recent stay I requested a first floor room. When I checked in I was told that there were none available, however my paperwork showed a first floor room. When I asked, I was told that a 4th floor room would be quieter. I do not like being told what I should like! As a BW Diamond member I expect my wishes to be honored. Friendly staff and an exceptional hotel . The rooms were spacious and the continental breakfast was exceptional. The waffles were delicious. The restaurant hours accommodating a traveling clientele. In addition, this location is close to other restaurants and centrally located. Easy access to I-84. "Nice hotel, no microwaves in rooms but lounge on site"
Nice new hotel. The room was large, there was plenty of counter/desk space, even a mini-fridge in the room. I definitely like the place and how clean everything was, but we had brought some food with us since we knew we wouldn't have a chance to eat until way late and didn't want to eat out, but there was no microwave in the room. Other than that, no complaints on the place. The shower was even designed for taller people, which is always a plus for us. The hotel was clean, the Lobby was clean. Our room was large, but quit plain. They served allot of food everyday , but it was the same thing every morning. we stayed 3 days. Upon check out, we were checking our room to see if anything was left behind and we found a pair of used woman's underwear next to the chair in our room. Hummm, we thought the rooms were cleaned well, but, I think some things are over looked. It kinda grossed us out. Other then that , everything was very nice there. Oh, Walls are very thin, we heard the guy next door sneezing allot. "Nice staff. Pleasant and functional." We visited Nampa after having lived there in the early '80's. Wow! What a change! The staff was very helpful and friendly. One of the drawbacks for us was that the lobby and eating area was over run by teenagers. There seemed to be a lot to traveling athletic teams. We're older and wanted quiet. My stay at the Best Western Plus Peppertree Nampa Civic Center Inn was great. The room was big and spacious with a great walk-in shower. Room was very clean and comfortable. Even the stairwells were clean and well lit. I highly recommend this property and will stay there again. Rooms were big and spacious with a refrigerator and a great bathroom. The breakfast served in the morning is an actual breakfast not just bagels & donuts. It is very close to shopping and restaurants. We were very happy and satisfied with the entire property. This is one of the nicest BW Properties that we've stayed at. The front desk staff took great care of us when we walked in and requested a room for 3 nights. The property is very clean and neat. We ate in their restaurant the first night and had an enjoyable light dinner. 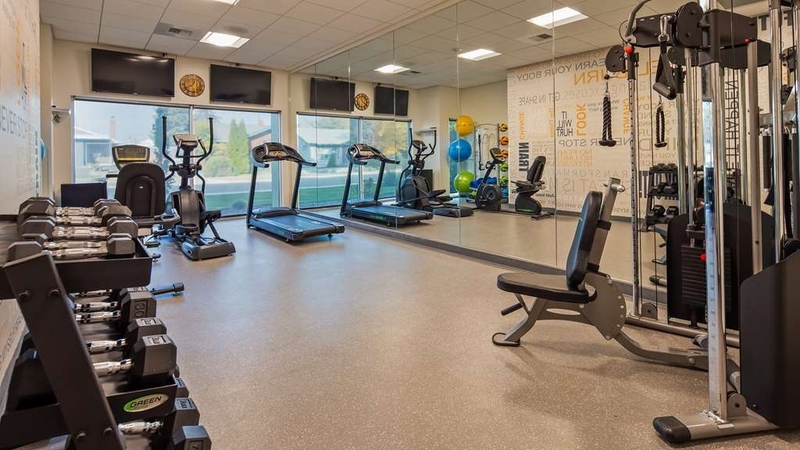 I also used the workout facility and laundry room and both were clean and very easy to use. We look forward to staying at the property next year when we return to visit friends. "Good location, clean and comfy"
Quiet room. Clean room and bathroom. The mini fridge in room was nice to have. Parking was easy and we didn't have any issues. Breakfast was pretty standard but we only grabbed a few items one of the days we stayed. Friendly staff - only had one person who was kind of rude when we checked out (not the person who was actually checking us out), but maybe she was having an off day. Overall a very good stay - easy check in and easy check out. Will definitely be back! "Best Western Nampa Civic Center"
New and well-managed property adjacent to Civic Center. Bar/restaurant a convenience not found in all BW properties. Location very good with regard to greater Boise area. Pleasant interactions with staff throughout our stay. So impressed! We stopped over on a road trip and this place was perfect. We ended up getting a good deal- though not sure if that was because it was last minute. Clean and beautifully new! We laughed how this was away better than our studio apartment and maybe we should just stay forever. Great breakfast and I was impressed with the yogurt bar. Wish we would have gotten there before midnight so we could have tried out the restaurant! We've stayed at a crazy variety of hotels and would definitely recommend this one. "One of the best stays!" Stayed at this hotel while on a family trip and the staff was very friendly and helpful! Our room was spacious and well kept and up to date as well as beds were very comfortable! Would stay again and will recommend! 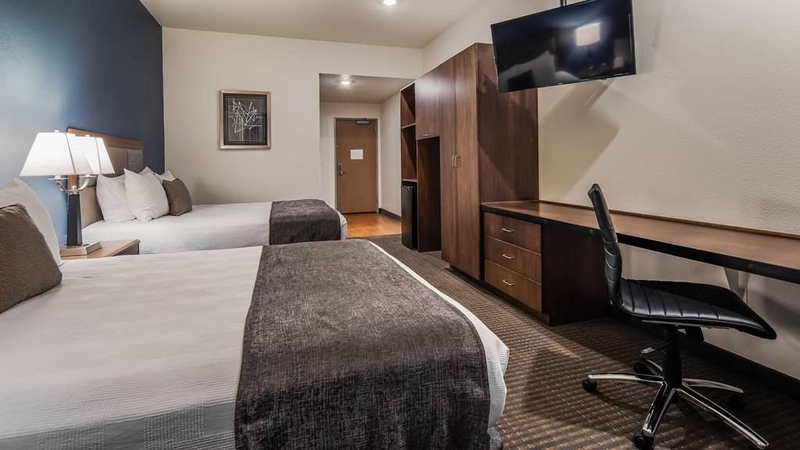 "Comfortable brand-new hotel in Nampa"
This property is brand new, with a pleasant, modern lobby and large comfortable rooms. The interior of the rooms is stylish and functional. 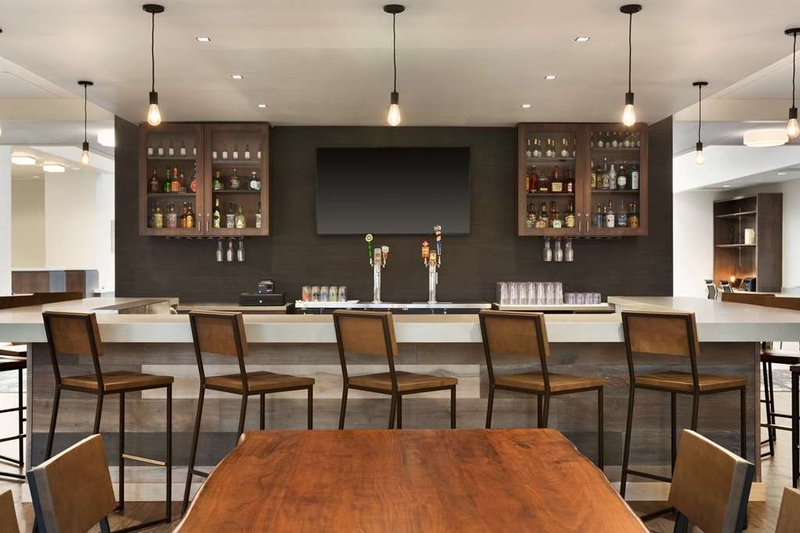 There is a bar in the lobby that serves simple but tasty bar-food style dishes. The staff were friendly and helpful. The location is not so much in my taste, basically being along a business strip and without much aesthetically pleasing to look at, but it's ok if you want to shop or eat out. I really enjoyed my stay here! The room was very clean and nice looking. The hotel itself is within walking distance to a few restaurants. The staff was always very friendly and helpful. The hotel bar was nice and drinks were good. The breakfast was good as well with a nice variety of items to choose from. My husband and I stayed one night at this hotel on our way back from a vacation trip. It was the nicest place we stayed on the trip, and had everything you'd want. 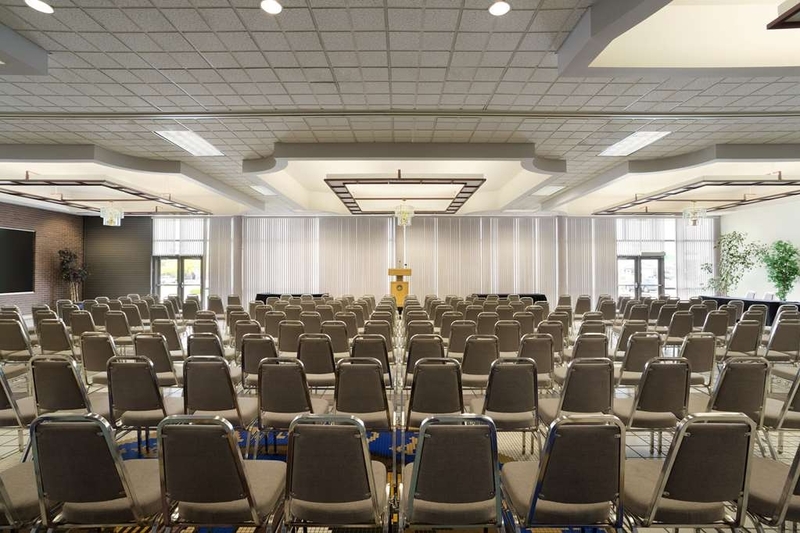 The room was spacious and quiet, and the building was modern, clean, and well- cared for. The breakfast had many choices with real dishes to eat from, and the staff were friendly and helpful. We'll definitely stay here again if we're in the area. For being just over a year old, I wasn't real impressed. We got a king size suite and apparently they don't expect you to bring kids to sleep on the pull out sofa because the room had 2 washcloths, 2 towels, 2 of each of the cups and no bedding set for the sofa. There were spit splatters on the mirrors and a big wad of hair on the floor in the bathroom and bits of refuse on the carpeting that hadn't been vacuumed up. The woman at the desk never even bothered to ask how our stay was, which is general practice. It is really too bad because this is a new property but is obviously having problems with staffing. The breakfast attendants were both very nice but they were out of both apple and orange juice and the mango tasted like it was more water than juice. This Best Western has only been open a year, and everything still smells brand new. Rooms are large and spacious. As another reviewer noted, bathroom lighting is inadequate. The room we were in did not have a bathtub if that's important to you. The breakfast was disappointing, and did not meet the "Plus" standard. "Secured and locked Bike Stolen off car in parking lot." My daughters new road bike was stolen off of the back of our car in the parking lot while staying at this hotel on our last cross country stop before our final destination. On arrival late at night we asked the lady at the front desk if the parking was secure as we had a nice bike we didn't want stolen. She assured us it was fine. We parked under a light in the front of the hotel out of sight of the main road. On discovering the cut security cables and theft and advising the front desk the following morning there was zero sympathy. They simply called the local police office and handed us the phone. The parking lot has no cameras. We arrived late and did as much as we could to protect our property, sadly to no avail. Beware. The parking lot is NOT secure and there are no cameras to discourage thieves. Be cautious about mentioning that you have valuables you don't want stolen. We greatly regret staying here. We are sorry you had this unfortunate experience. We do hope you will give us another chance in the future. A group of family members stayed at the Peppertree for a wedding. The hotel is new, modern and very pretty. The beds are comfortable and the rooms are spacious. However, there were a few problems. The bathroom lights are not adequate for putting on make up. Most hotels have appropriate lighting or a mirror that you can use for make up. The shower, while a new modern design, with glass doors to the ceiling, allows water to leak out to the bathroom floor. The shampoo, conditioner and body wash dispensers in the shower were a nice touch though. The iron and board were the cheapest and most unuseful I have ever come across. The iron didn't get hot enough and spit water and the board was covered in a black cover which left black bits on my clothing. The ironing board was also very wobbly and made it really hard to iron. My sister-in-law had the same problem with her iron and ironing board, so it was not an isolated event. As for the breakfast, if you are serving breakfast until 10:00 am don't turn off the appliances and take away the food until 10:00. Many guests were coming to the breakfast room to eat at 9:45 to find everything cold or being taken away. Over all the hotel is beautiful, with a few corners cut, the staff are friendly and helpful. I would use this hotel again. After reading other reviews, I chose to stay at this property and was not disappointed! There was a large group in the hotel, in town for a kids baseball tournament, but we never heard them. Which in my book was great!! Lol I look forward to future stays at this hotel!! Typical Best Western hotel. Clean room and comfortable bed. Has a restaurant on site, and the typical breakfast. The hotel was opened in April, 2017, so everything was still nice and clean. Would stay again if in the area. Out of all the rooms I've stayed in I'd have to say these were the nicest. They have a walk in shower, with shampoo, conditioner, and soap dispensers. Not little bottles. So that was awesome. You couldn't hear your neighbors. It was great! "Great place to stay in Nampa!" We stayed at this Best Western to spend the week with our daughter and granddaughter. This was our second stay in two months. The staff is very friendly and welcoming and the rooms are spacious and really comfortable. Good selection for the morning breakfast and the bar was excellent in the evening. The food they offered through the bar was also great. This was a nice hotel, room service, high speed internet, friendly staff, decent food at the restaurant. Noisy hallways and doors if your room is at the end of the hall. Pet-friendly with large grassy area to walk the dog. Good location for getting on freeway and close to restaurants and stores. Manager is very nice, as are the night staff. A little on the pricier side. We stayed here on a very busy weekend. They had numerous sports teams in town. They handled it very well. The rooms were new. The bathrooms lack privacy, but were clean and roomy. The front desk staff was very nice and helpful. Unfortunately, I booked through a travel website and they said my room would sleep 4. There was no way! We booked a king size bed with a sofa sleeper. We ended up with a king size bed and a chair. The hotel was completely full so they were unable to accommodate us. Luckily, I had booked an additional room so we were ok. The front desk really tried to help us, but they didn't have any rooms left. We also had an issue with being charged though the travel website and the hotel. Fingers crossed it works itself out. The breakfast was good, and the patio and lounge were a great place to sit and relax. Overall I would definitely stay here again! We loved the hotel! It was clean, nicely decorated, and the staff was friendly. Check in and check out was easy. We felt like it was a good value for the money. We were happy with everything and would definitely stay here again. Passing through Boise, we stayed at this Nampa Hotel and glad we did. Full breakfast started our day with a full tummy, that includes waffles, eggs, bacon, oatmeal, cereal and assorted breads as well as fruit and yogurt. The dining room is also a bar in the evening where you can grab a drink and a bite to eat. We made use of the pool and hot tub. Smaller for both but clean and good enough for an evening soak before bed. Showers down there allow to wash off the chlorine before leaving. The rooms are great. We had a tiled stand up shower, which is preferable for me. The only thing it lacks is a microwave. There's a fridge, plenty of outlets as well as USB plug ins, big desk for work, couch and a comfy bed. They have plenty of Paya branded shampoo, conditioner and shower gel. If coming back through, this would be our place of choice being it's just a short drive from downtown Nampa as well as short distance from I-84. All aspects of the visit were just super, from ALL the persons working within to the fantastic layout of our room. Just great overall experience. Only issue may have been parking space, but this may have been due to an outside event. Just a great place...I will look for more like this in other areas when I travel. Here is a summary of the problems: 1. It took 3 phone calls to make sure reservations were accurate. 2. You can HEAR everything through the walls. 3. Bathroom doors do not close. 4. Two errors were made on my bill. I will NOT be back. EVER! The room was spacious and comfortable. We thoroughly enjoyed the complimentary breakfast. The staff was great. The hotel was centrally located, making it convenient and easy to get anywhere we wanted to go. We were very impressed. Excellent facility. Enjoyed my stay. The site was new and looked very nice. Bed was very comfortable. Bathroom was clean and well set up. Didn't get to enjoy the breakfast because we met family for breakfast, but it looked good. 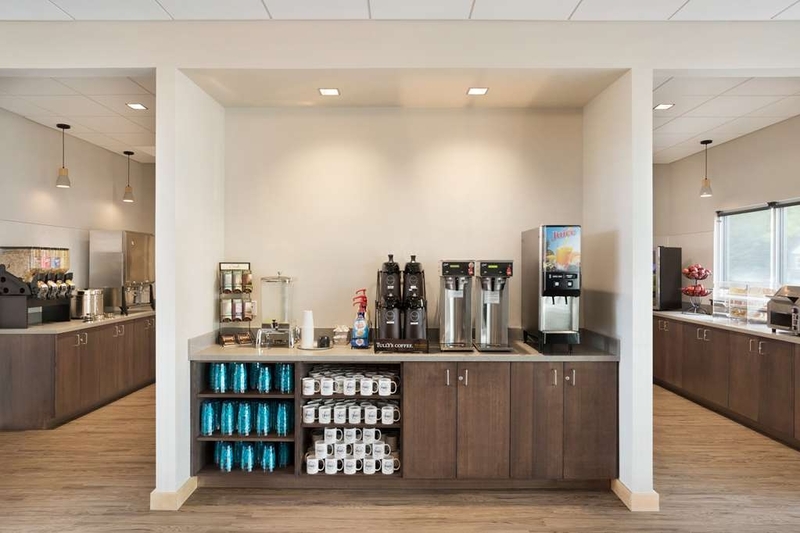 "Great New Hotel w/ Free Breakfast"
The staff was friendly and did their job well. I was a little surprised my King size room w/ a sofa sleeper did not have a microwave. Nice work surface counter on one side of the room for setting up my mobile office. The AC / Heat unit had a constant fan setting which I really value for creating the background white noise instead of dead silence. The hotel and grounds are very new and modern and clean. Staff was very courteous and friendly. Hotel is close to multiple places to visit and was quiet too. The breakfast and seating area was spacious and clean. I wish that hotels that add a fridge to each room (which I love) would also include a small microwave. The bar was very nice with excellent service. I also wish Hotels on Weekends would extend Breakfast to 11:00 AM. Easy to find but surrounded by one way streets. I would stay here again. "Great room, great service, great breakfast, nice fitness center"
New hotel, probably less than one year old. Room was very large. The staff are great if you have a pet. Breakfast is one of the best we have had at a hotel in this price range in US. Fitness center was very nice, lots of options. Also have a great happy hour and menu for light dinner. The hotel is new and therefore very clean. The amenities are nice, however as occupancy was very low, the lounge was open only a few hours. We stayed the night before a holiday and the holiday breakfast time was not adjusted so ended at 9 am and was rather limited. Had another very nice stay. Now that the lounge and restaurant is open it's even better. Had a wonderful meal and a few glasses of wine, perfect way to wind down a long drive. The staff are wonderful and very helpful. We travel a lot for business and always try to stay in Best Westerns. This hotel just opened in April and it was our first time staying there. What a wonderful experience. modern, comfortable and a great value. A new found gem in Nampa. We appreciate knowing that everything was to your liking! 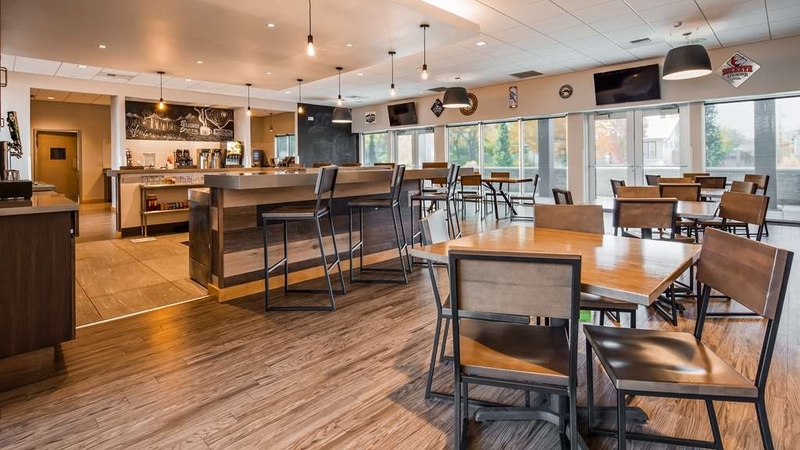 Convenience and friendliness are just 2 of the many things we strive for to create the perfect atmosphere for each guest that walks through our doors. We would love to welcome you time and time again. The bed was a little too hard for me and my wife. The breakfast was good with a fair selection, about what I expect from a Best western plus. The later check out time (12 noon) worked well for our purpose. This hotel is very nice. Very clean and the rooms are big. The pool was nice and clean and the breakfast was good, convienent. Staff very friendly. I highly recommend. We have two small boys and they loved it, made the traveling easier. Appearance and cleanliness of the hotel was A+. Staff was friendly and helpful. Bed was comfortable and the hotel was close to several restaurants and shopping centers. I would stay here again! Thank you! So we booked this stay from the road at about 10pm and arrived at the hotel around 12am. They were great while we booked the room. The front desk was also great at getting us into our room quickly. The pool was great in the morning. The only thing that was not great was the breakfast. They ran out of food 30 minutes before it was scheduled to close. Other than that it was a great stay. "SURPRISE! 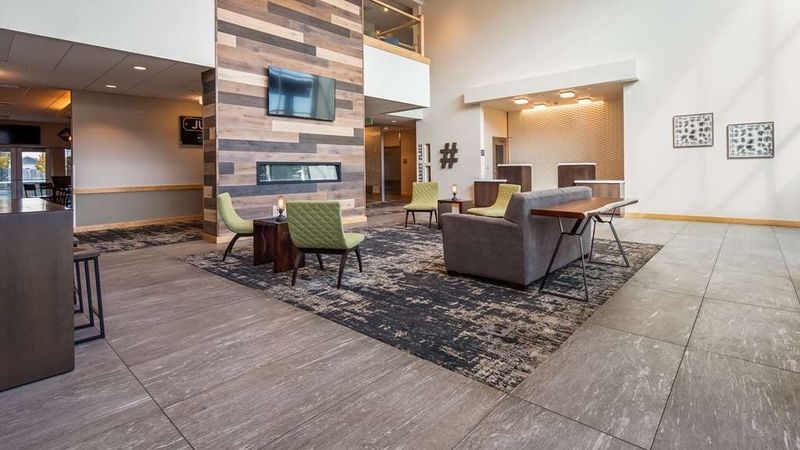 THE 'BEST' NAMPA VISIT"
This quite new and modern property turned into one of my best U.S. hotel stays in memory! Rooms are huge and very nicely decorated... and I extended my visit one night (seemed a shame to leave). Likewise, while this is a BW+ hotel with obvious extras, I was able to get a super deal very comparable to regular BW hotel rates. This hotel & staff rose high above my expectations...of what a hotel 'provides.' A jewel in my trip! Thanks!!!!!!!!! This is a very nice and new hotel. Just opened in last 6 months or so. The rooms are very nice and beds are comfortable. I liked how they have lots of electrical outlets and usb outlets. Barn door on bathroom was nice. Plenty of Free parking I would come back here for sure. Amazing staff! Very new clean room. Super happy hour. Allysia in the lounge is really welcoming and very professional. So nice to be able to have our sweet Lab Linder with us. You won't be disappointed! We appreciate you taking the time to review our hotel! We were happy to meet you, Suzy and Linder! We hope to welcome you all back soon. "New and clean with helpful, friendly staff!" If you appreciate deep rest and relaxation during the holidays, this is the place to find it. We especially enjoyed the level walk-in accessibility. We stayed 4 nights just to enjoy walk in showers, easy entry to pool and hot tub, full breakfast, and a fine bar with good food. This kind of experience makes traveling much easier for great grandmas and grandmas, too. Out of 4 nights, they failed to clean our room twice! When it was cleaned on our last night. They forgot to leave coffee, cups and glasses. Issues with toilet plugging up over the 4 day period. We were given a plunger. Breakfast is VERY minimal with LOTS of carbs. We're sorry you were unhappy - we'll work hard to fix the issue you experienced. Thank you for your feedback. 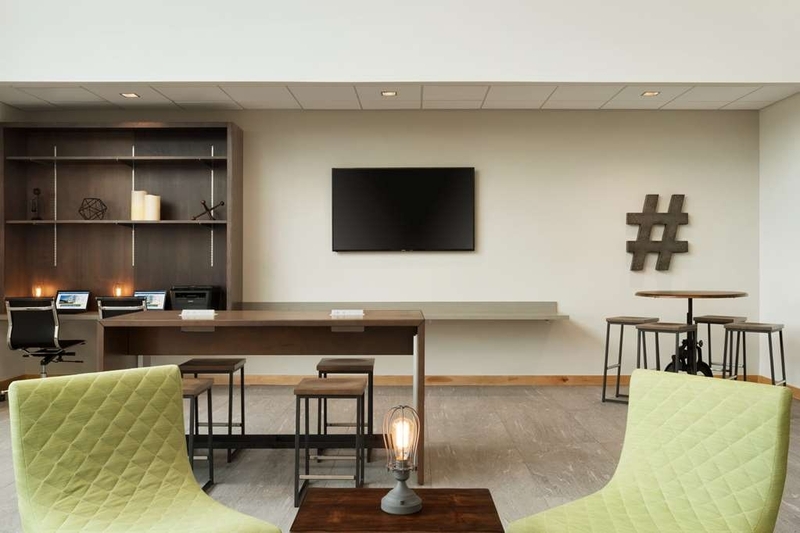 "Staff helpful with reservation mixup"
We arrived at the hotel at 3:00 AM after having booked moments earlier through a well known website to learn that the hotel had updated its reservation system just before our reservation had been submitted. This meant that our reservation had been registered in the hotel's system for the following day which was a significantly higher rate due to the solar eclipse festival. The hotel staff were very gracious and helpful in getting the reservation switched with the third party website and getting us into a room as rapidly as possible. The hotel lobby and the room were beautiful and new looking. This new hotel has great comfortable mattresses, indoor pool and spa which is open 24/7 and the water is warm enough to actually swim in. Breakfast was hot eggs and waffles with a variety of fruits, liquids and the normal fare offered at continental breakfasts. All favorable. Staff were all friendly and helpful and they are pet friendly. If we are every in this area again, we will surely stay here again. Stayed two nights. Breakfast was the usual hotel type for the price range. Offerings are ok and its nice and clean being new, but I have suggested that the hotel look at offering gluten free bread for toasting. Not a big deal but it would be nice. Rooms are comfortable clean and everything worked as it should. Overall noise levels were very good. Stayed in two different rooms and both were quiet. My first stay at a BW Plus and I will stay again especially in the new ones! My absolute worst experience at a BW! Understaffed that is poorly trained. I was triple billed, called at noon to let me know checkout time was at noon when we were staying another night then charged $500 for a no show. Almost a $1,000 of authorizations on my card. If you like gambling roll the dice and stay here! The hotel looked like brand new. The inside and out were very nice, rooms were very clean and modern styling. The worst thing about the hotel in the birds in the parking lot. Take a look at the ground when you arrive, that's what your car is going to look like before morning. After only one night my car needed a wash.
Brenda, the manager, is such a friendly and welcoming person. She makes you feel at home, which is rare these days. Some of the staff from the Caldwell location also transferred to this location and they definitely exceed in customer service. Rooms are nicely set up and you can tell they put extra care when deciding on a newer and more modern setup. The front desk could be better identified though. When busy and coming in, it isn't obvious where to check in. All in all, I would definitely recommend. "Clean and Professional + HUGE working areas"
This hotel was very modern in it's décor (interesting that it was a Best Western). The staff was extremely friendly and the breakfast was a cut above the normal continental style. Plus the bar/restaurant and happy hour made it a fun stay! The working desks in the rooms are HUGE with fast 5mbps constant speed. Great stay! This is a lovely clean property with very friendly staff and very clean comfortable rooms. The restaurant was friendly and food was tasty. I would highly recommend this hotel to anyone coming this way. 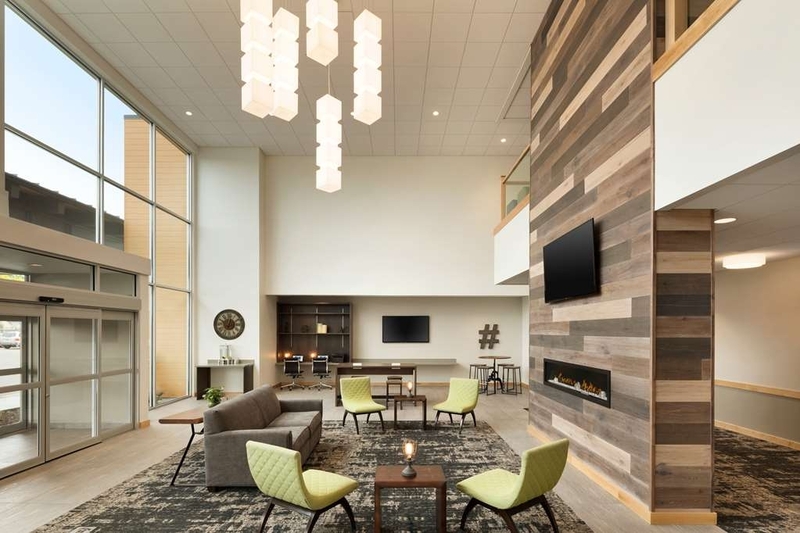 "Excellent Place to Stay and Convenient Location"
This is a beautiful hotel that is right off I-84. It is quiet. The staff went out of their way to help us and make sure our needs were met. The room was tastefully decorated. The lounge was a nice. The barmaid was efficient, helpful and funny. The food was good. The breakfast was wonderful. Even had a omelette machine. We will stay again the next time we go through Nampa, Idaho. "New and very nicely decorated"
The hotel is very clean and quite nice. We stayed 3 nights, preferring the double queen room to the King with sofa pull-out. The complimentary breakfasts were very good, however the weekday ones were better staffed and the coffee was much better than on the weekend! we would definitely recommend this hotel (and have already) to others. Thank you Darlene for taking the time to review our hotel, we appreciate the feedback. We enjoyed having you stay with us and hope to see you back again soon. Thank you for staying with us. Hope to see you back soon. The hotel was clean and inviting. Staff was more than professional. I will be staying at this hotel again. The hotel was also close to places to grab something to eat. It was also nice to sit in the bar and watch television and just relax. 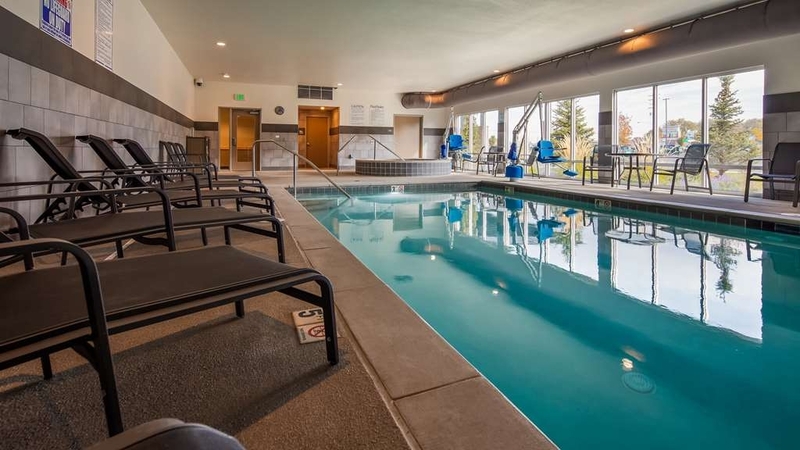 "Comfortable stay during stressful time"
We were in the process of moving to Nampa and had not secured a residence yet and had to stay three nights with our daughter and two little dogs. The staff couldn't have been more accommodating or friendly which made our time a lot less stressful! It was very easy to be in this hotel. Thank you! "Beautiful hotel that needs more employees..."
The hotel is new and VERY nice! The staff is friendly when you can find them. It seems they are understaffed because there would be no one at the front counter for a while. And then there is the breakfast.....Worst hotel breakfast experience I've ever had and I've stayed in a LOT of hotels. The eggs were cold and I had to heat them in the microwave. There were only a couple of things to choose from as far as breakfast food...eggs or waffles...that was the choice unless I wanted cereal or yogurt. We never saw anyone staffing the breakfast area. The eggs ran out and they didn't get changed in the 40 minutes we were there. The hotel has a nice small bar which was great. I would suggest more domestic beer choices for those of us that do not enjoy craft beer. The two choices of craft beer on tap that I liked ran out our first night. We went to the bar the second night and they were still out. Not sure why they didn't get replaced but they didn't. Honestly it's a nice hotel (not in the greatest part of town in Nampa but still) but I'm not sure if we will stay there again. The breakfast and lack of service was really bad. I can stay down the street at another hotel for about the same price with better service. Stayed here after a concert at the Nampa Civic Center - so nice to just walk across the parking lot to the hotel. We come about 90 miles to events there and appreciate having a nice clean new hotel to stay overnight at before heading home the next day. Breakfast was superb! Civic Center asked that the bar be kept open late to accommodate concert goers staying there - awesome benefit. Walked to a Hawaiian restaurant for a late lunch just a block away - delish. This is a clean, brand new beautiful hotel with very friendly and helpful staff. There is a free breakfast and nice pool/fitness center which makes the stay pleasant. The hotel is very close proximity to Boise. "Maybe they just had a bad day or lowered standards?" Maybe they have just lowered their standards? Very nice and new hotel but for the price we paid we'd expect at least what other Best Westerns offer in regard to breakfast. What we found here was a half done preparation. For example, yes.... the basics, waffle, scramble eggs, sausage. But it pretty much stopped there. No oatmeal no cream cheese no peanut butter or honey or hard boiled eggs no gravy, very limited breads, apples were the only fruit... yes they provided something but no where near what other Best Westerns would provide and less than what a lower end hotel would offer. I mentioned this at the counter but they seem to be unwilling to talk to me from this point. I'm very calm and relaxed... just woke up... was hoping for a 'full' breakfast as would normally be offered on a Sunday at a Best Western. Very disappointing. They all seem to be having a great time behind the counter. Good for them that they can have fun at their jobs. I like the newness of this hotel and the location but a breakfast is a big part of the price and experience for me. I will choose a different location next time. Brand new, very nice hotel with excellent service! 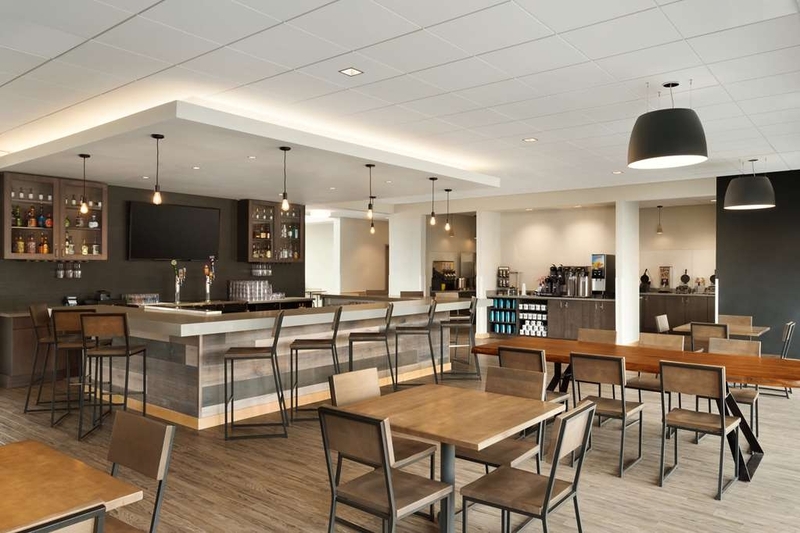 Conveniently located in parking lot of civic center and close to downtown. Rooms are very nice. Also has a nice lounge with patio seating. Great price for the rooms too. I can't speak much on location because we aren't familiar with the area but it was quiet at night and felt safe, grocery was close. The staff was excellent and our room was spacious and the bed and extra pillows were very comfortable. The pet policy can't be beat and they even handed out plenty of dog waste bags! The wifi was the best I've had in a hotel. We plan to stay here when we come back to visit family and I highly recommend this hotel. My only complaint was rough toilet paper but I can live with that! We are happy you stayed with us, so fun to meet your dog! We hope to welcome you back soon! This Best Western hotel was one of the friendliest, cleanest, most modern and best places we have ever stayed! Our room was very large, the bed was very comfortable and the bathroom was well lit. Would definitely stay here again. Thank you, for your kind review! We were happy to meet you. "Rates Vary Depending on Who Checks You In"
The BW Doubletree in Nampa is a new hotel and was doing training as we checked in. We were not in a good mood, having had our other lodging fall through at the last minute, so got off to a bad start in Idaho. The BW rate was quoted as $149, but went up $30 for the weekend. We thought $179 was out of line, especially considering we had to walk 20 minutes (or Uber) for a decent restaurant, so we only booked for one night to see what it was like. When we decided to stay Friday and Saturday, we were told our rate would be $149 on Saturday, but then the hotel reneged and efforts to correct it the rest of our visit went for naught. As the Founding Director of a small literary arts non-profit organization, we have to watch every dollar and as a host of a lodging venue in Seattle, I would always defer to customers, especially when our integrity is concerned. Our's worth (at least) $30 but this hotel's is apparently not. I'd skip this place and stay in Boise. The hotel staff were welcoming and the room was clean and comfortable. The hotel is a good value and our stay was enjoyable. I would recommend this hotel to anyone that might be going to the Nampa area. "New but needs some attention to detail"
New and nice looking hotel. Because they are so new, they are still working out bugs in the service. The front desk is very helpful and friendly. Breakfast was really poor quality, but we were told they are working on that. I had a multi tasking faux pa where I booked the wrong dates, 1st time ever doing that and 1st time not calling a hotel to say we were coming in very late (2am). Upon arrival all rooms were already booked and my reservation was cancelled because I had mistakenly made it for the day prior and that night but my reservation was cancelled due to no show the night before. My only disappointment was that they didn't call when I no showed. We had to stay in some other really dumpy hotel for that night but they worked super hard to get us back in 1st thing in the morning when someone checked out and I was so grateful for their amazing hospitality in that tough situation of being 400 miles from home with nowhere for my family of 5 to lay their heads. Great job hiring this staff at the front desk because everyone I came in contact with was very pleasant and helpful which is what every traveler needs away from home!! We really enjoyed our stayat the Best Western Plus Pepperttree in Nampa. 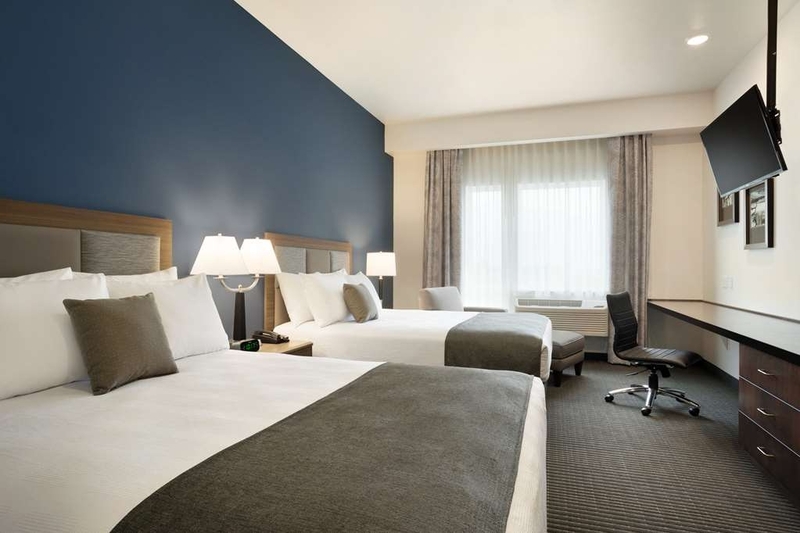 The staff were friendly and helpful and our room was large and comfortable. We found restaurants and other services nearby and the property is located on a main thoroughfare in Nampa, so is easy to find. The room was spacious and comfy, the beds very good, it was quiet and a great place to stay. However, the breakfast could have been better. They have waffle makers. The eggs offered were of two varieties both made with instant eggs: scramble eggs and scrambled eggs with ham. There was no bacon or sausage offered. The toaster was broken. My husband and I travel to visit relatives in Eastern Idaho once or twice a year. Our usual midway stay is at another Best Western in a nearby town. This time on our way over we had such a disappointing experience that we decided to cancel our returning trip reservation there and stay here. We loved it. We will stay again next time we visit the relatives, each way. We liked the restaurant, the pool, the bar, the room and the service by the employees (and every single on of them smiled). Thank you so much for your kind review. We were happy to meet you and hope to welcome you back soon! For the price we were extremely disappointed. Out of 5 nights stay. Our room was serviced twice and that was minimal service after we asked 2 times. Ran out of towels. Breakfast was NOT good and there again they ran out of food. Nice appearing hotel but too many issues. This hotel was absolutely beautiful!! Clean and well decorated. The rooms were exceptionally large and spacious. The bathroom was more like a spa than a hotel bathroom. Well done Best Western!! I hope all of your hotels upgrade to this level of comfort! Thanks! My only complaint is they do not have microwaves in the rooms. Very inconvenient to use the one in the first floor breakfast room. The facility is clean and modern - having only been open for a few months. It is nice that the pool and fitness facility is open 24/7. We LOVED the rooms, the bathroom and the quiet of this hotel. It was close to freeway but not so close that there was noise. 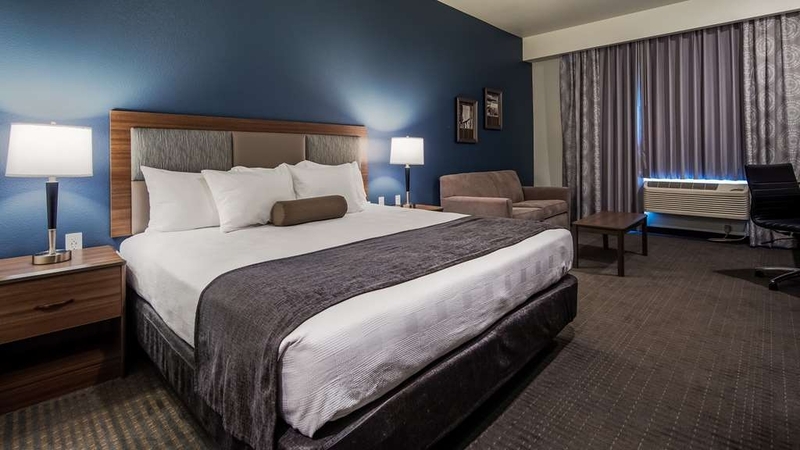 I've never been to Boise or Nampa and we were passing through on our way from Seattle, but if you have business or family in the area this is definitely a great place to stay! Thank you for taking the time to write a review. We appreciate your business and hope to see you back soon. This hotel is very nice, with great rooms, great beds, and a fabulous hot breakfast with lots of choices. The fresh fruit wasn't just apples, bananas and oranges, but fresh cut melon too! It's nice and close to NNU and other Nampa attractions. Will stay there again! Thank you for your review. We are happy to welcome NNU friends and family! We are excited to welcome you back soon. Everything was great. Would surely stay there again. The whole experience was great. Would recommend this hotel to others. The room was comfortable and inviting. Did not spend much time in the room but it was great while we were their. "Great stop on our travels"
We very much enjoyed our stay at the Peppertree as the Inn is newly built and very clean. Beds are still soft and cozy. Provides breakfast in the mornings and has a great lounge to relax and get out of the room. Recommend this Best Western. My daughter was very much impressed with the hotel decor. Pool was nice. Wish the bar was open a bit longer. Beds were good. Rooms had all the amenities as advertised. Parking can be difficult as it shares the same lot as the Civic Center right next to the hotel. This is a new facility. I don't believe my room had been rented previously. Very comfortable with good soundproofing. Nice central location for business and pleasure. Price was steep but I had not choice but to travel during the eclipse. Staff was well trained and quite friendly. Breakfast was included but the eggs were a bit dry. Can't complain about the price though and the coffee was very good. Very nice best place to stay in nampa. It was great to find such a new hotel! Very modern, clean indoor pool and spa. Large room with spacious shower. Very quiet and slept well. Next trip back we will definitely stay here. I love staying at new hotels. Everything is crisp, clean and shiny. I particularly loved this Best Western due to it's awesome modern design. The rooms are spacious and very well thought out. Love the 15 ft counter for placing all manner of traveling stuff: baggage, keys, computers, clothes. Love the plethora of outlets for recharging our many devices. Love that there's a bedside table on both sides of a queen bed. 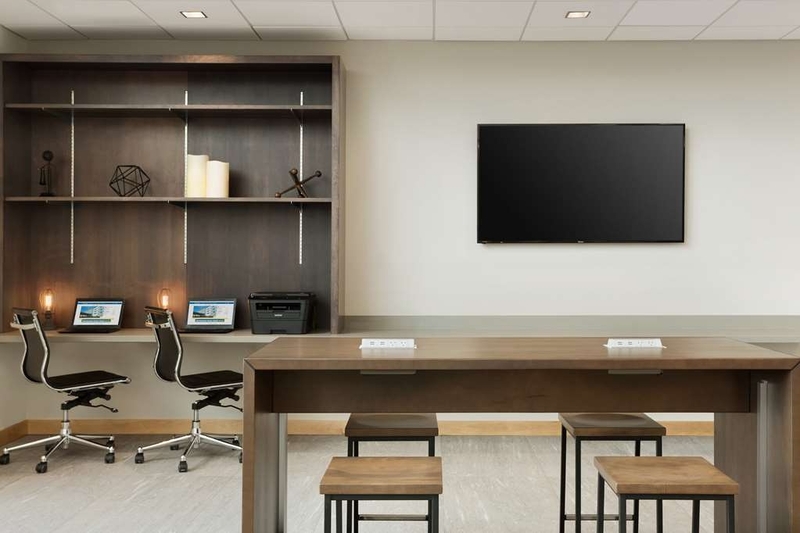 Love the huge TV mounted from from the ceiling and the rich option of programming. We didn't stay for breakfast, nor use the fitness center so can't comment there. But overall, this is my favorite new hotel in the suburbs of Boise and we'll be returning. The staff were very, very helpful to the eclipse crowd. It's a new hotel, so still a little paint smell in the hallways, but the rooms were clean and the beds were comfy. The decor did not suit my taste (dark green with black paintings) but some people might like it. lots of storage and desk space. This Hotel is new. The staff was very pleasant. The decor is lovely. The room is well thought out spotless. The bed was good. The shower was good. Would be nice if the hotels work to the same standard. It was a pleasure to have you stay with us! We hope to see you back soon! A very nice, new, clean Hotel. Nice Bar/ Lounge area with excellent staff ( but short hours). All services will undoubtedly continue to improve as the hotel and staff acquires experience. They are off to a great start. "Great staff, rooms and food!" We checked in 8/16/17. Blanca was at the front desk. I booked at an online site and she took care of getting my points on the Best Western site. She was fantastic! Then we ate in the lounge where Alisa and Myra took care of our drinks and food. They even listened to our grandkids chatter. During this time Brenda, the General Manager, came around and was talking to us. All during our stay Brenda was there, friendly and visible. The motel was midrange in price and luxury in stay! Overall this visit was very memorable and pleasurable. Thank you! The room was large and very nice. The bathroom was large as well with only a shower stall. Excellent HD cable TV. Had issue with clean towels every day, otherwise was nice. Restaurant in lobby but not used. Everything was nice, this is still a brand new hotel. Only complaint was the mattress, couldn't get comfortable, had a stiff sore back in the morning. Everything was very clean, kids enjoyed the pool! "Excellent Facility and very helpful front desk"
little pricey for area but was worth it. staff top flight, beds great, would stay there agair anytime, enjoyed having beer on tap downstairs and connecting patio. breakfast great first time used omlet machine disappointed second day was not. Shower was great as was just about everything else. the staff here is awesome. From the desk service, maintenance, breakfast and housekeeping, this place is a great value and convenient to plenty of restaurants and shopping. The indoor pool, hot tub and gym were clean and just enough for the trip. Very nice hotel, clean, comfortable, everything works as it should and a good selection for breakfast. The staff was friendly, the parking could get full on weekends because they had events going on in the building next to it. I would stay again if I was in town. "Excellent Hotel with friendly staff"
I would just like to say thank you to your wonderful staff. We booked a room with you for a honeymoon suite and your staff was so kind and courteous and easy to work with. They allowed us to decorate the room and leave some treats for the wedding couple. We are highly please with your service. We will definitely recommend your hotel to friends and family. So glad you have opened in Nampa. "A Great example of the new generation of Best Westers motels"
What a wonderful surprise it was to stay in a brand new Best Western motel! Everything in the motel was sparkling clean and wonderfully decorated. Lots of thought was given to make the motel a pleasant and relaxed oasis. 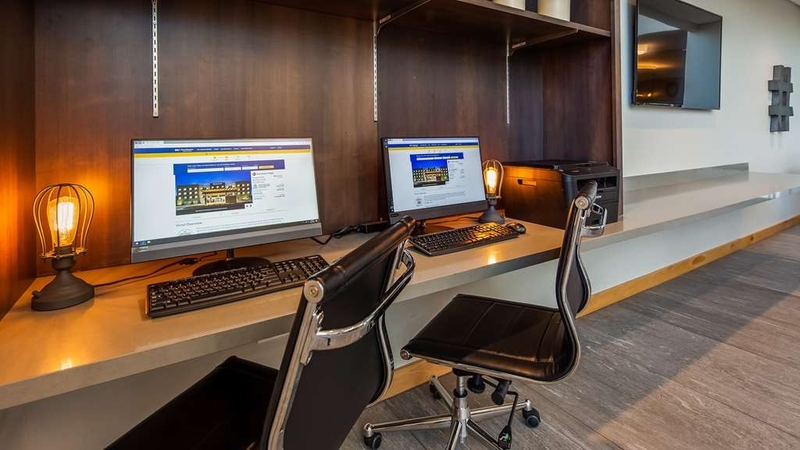 This Best Western has all of the modern amenities you would expect to have with a new hotel. The room layout is a little unique from best westerns I have stayed at in the past and they did a good job with it. 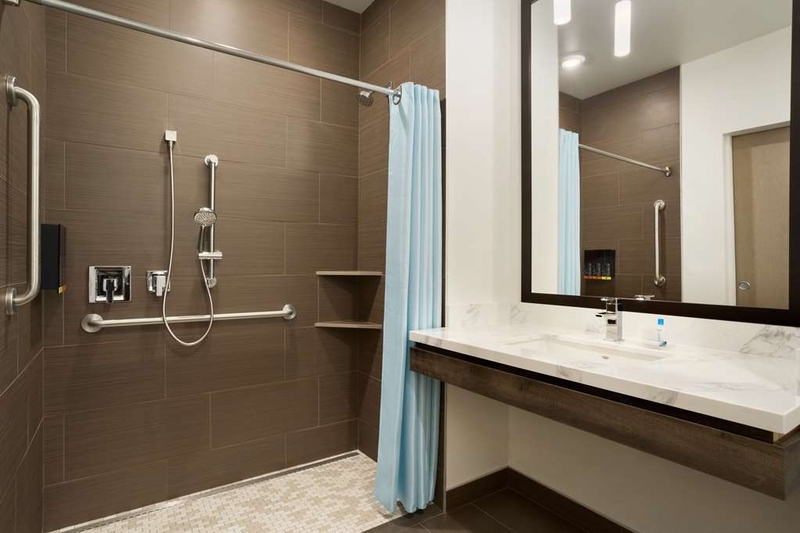 The bed is comfortable and the redesigned shower area looks great. The wide open breakfast area has a bright and inviting atmosphere. 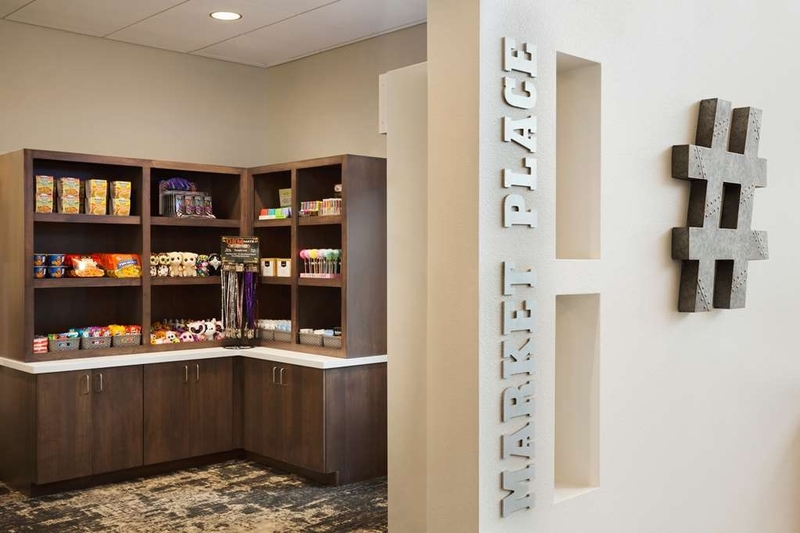 The physical location of the hotel puts you right near plenty of restaurants and grocery stores. This hotel is very new. The decor is fresh and modern. Staff is helpful and friendly. The bed was very comfortable. We enjoyed the complementary breakfast which was available by 6 AM, and the wi-fi in the room. Room cleaning service was delayed on one of the days but it did get done. We would definitely stay here again. My wife and I recently took three grand kids on a road trip through Idaho, Montana, and Wyoming. We stopped in Nampa because we like the look of the town; we were on our way to Glacier Nat'l Park, ultimately. We booked the BW Plus on a third party site and were very pleased with what we got. The hotel was recently built. It is centrally located near very nice little neighborhood. It had a very nice lobby and the young man behind the desk was pleasant and helpful. The indoor pool was a welcome sight after spending time in the sun. It was clean and well maintained. The room was spacious and nicely decorated. The beds were very comfortable Breakfast was sort of your standard hotel breakfast but it was clean and tasty. "Cant check in until 4:00 pm"
Nice motel but person at front counter was far from being friendly. I arrived at 3:30 pm on a day that was over 100 deg..and had been up sense 4:30 a.m.I was hot and tired and just wanted to relax. The person at the counter would not give me the key to my room until exactly 4:00 even though my room was clean and ready. I did not want to sit in the lobby and wait so I sat out in the parking lot with the ac on for a half an hour. Im a Diamond Select member so I stay at Best Western a lot, this is the first time I have had an issue with not being able to go to my room unless it wasn't ready. Really nice place. Did not hear any sounds thru the walls, the staff was so awesome and helpful. Everything was so nice and clean. I was great . The only thing is that it is a little tricky to find, it is not right off of the highway. But the Staff was awesome! They made you feel right at home. Comfortable beds and modern well appointed rooms. Wifi and basic breakfast included. Clean. This was a great option for our family while on a road trip. The parking lot was well lit and accessible. My only complaint is the lighting in the public areas and rooms was very bright. We were delighted with the comfort and atmosphere of this bright new hotel. The room was large with high ceilings and furnishings were well thought out for meeting travelers needs-- good bedside lighting, plenty of desk space, a sofa. The bathroom too was spacious and conveniently configured. The staff were particularly friendly and helpful. In terms of value for money this was an exceptional experience. 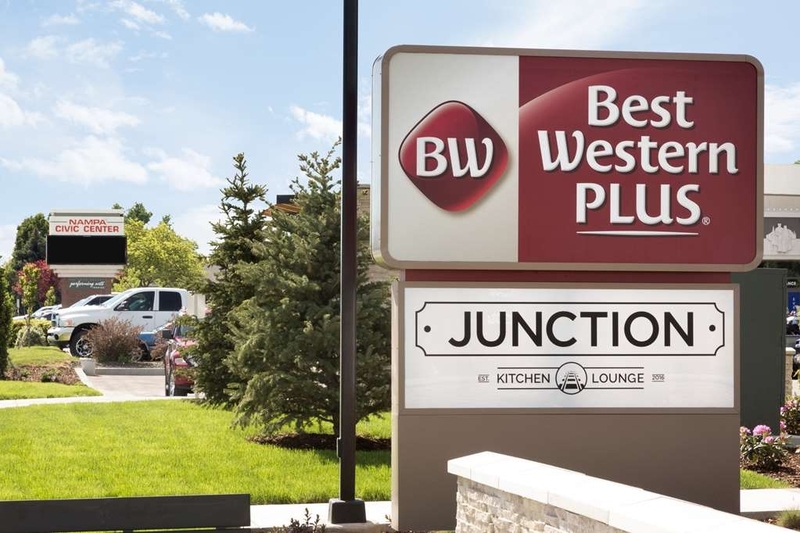 "Great Nampa location and hotel"
While in Nampa on business and a family wedding we stayed at this new BW Peepertree Hotel. It was nothing but an excellent experience. We stayed 3 nights. No matter what time of the day or night the staff would say hi as we walked into the hotel lobby. The greetings made us feel like they appreciated our business. This location has a nice pool/spa room, a good workout room, a great breakfast and open dining area. They also have a limited but healthy menu for dinner guest that want to stay at the hotel and not climb back in the car to head to a restaurant. Friendly staff, clean hotel, and easy access to the hwy. Within driving distance to most major stores and restaurants. 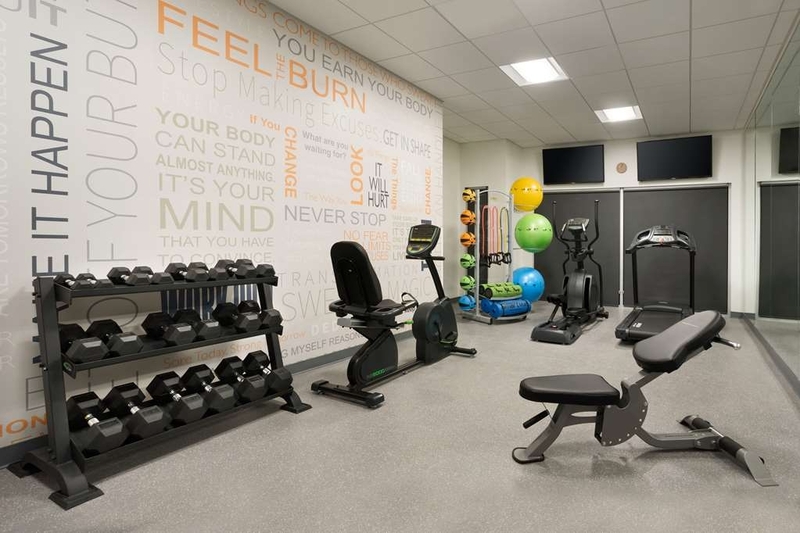 Fitness center is well maintained and the pool is very clean. Housekeeping does a great job making sure your room is clean and taken care of. We had a great stay here. We booked this hotel while on a road trip. Pool open 24 hours. Great breakfast very helpful staff and overall we had a very wonderful experience. Would definitely stay here again. clean nice and priced right . The employees treated you like family . 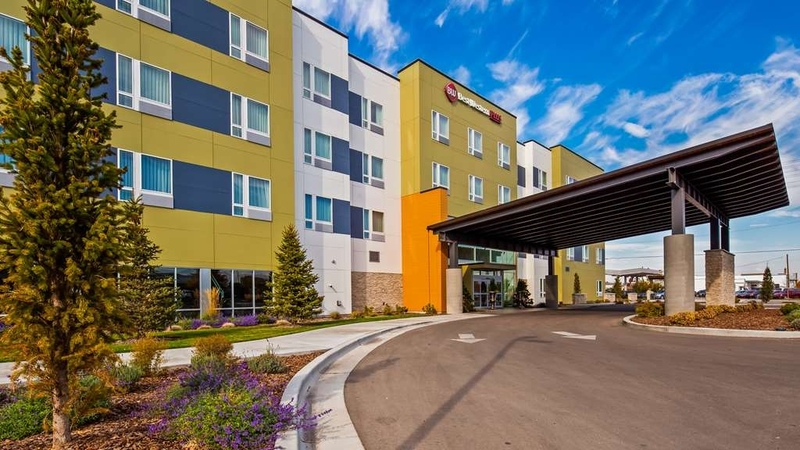 I would highly recommend if someone where to go to Idaho to be in that I would stay this best Western for the location is ideal when it comes to restaurants baseball park for grandkids and all the Stores that you need to find Without dealing with the traffic of the bigger city The road noise around the hotel is quiet . 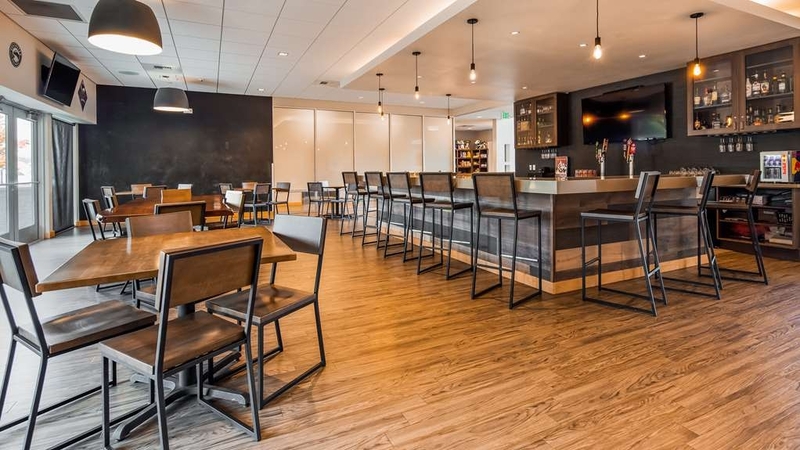 "Best Western plus peppertree inn"
This really is a great facility, this hotel just opened in April 2017, it is very modern, has a friendly professional staff, they all had matching uniforms. We especially enjoyed the nice dining area and well stocked breakfast in the morning. The hotel is new and very decorated. We booked two rooms, both with one king size bed. The room was clean and very well laid out. I appreciated the fresh, sanitized TV remote. Thank You! The walk in shower was a dream. There was very little assistance from the front desk when we asked for maps or information about the surrounding area. We did utilize the computer and printer station in the lobby to get the information we needed. Staff was excellent, responsive, and professional. They all deserve a atta boy, and a atta girl. They all went out of their way to be helpful. Had a key problem and manager opened and went down on his own to make new keys. The service was great everyone was friendly, the rooms looked new, and the beds were comfortable to sleep on. The complimentary breakfast was a nice feature. The pool was a bit cold but it was open 24 hours do that was convenient. excellent management and the best employee group I've ever encountered. read my earlier comments about the manager and the cook at the hotel restaurant and apply them to my review. very clean hotel and the friendliest staff we have ever encountered. Newer hotel with friendly staff and clean comfy accommodations. Breakfast was nice feature. Cleaning staff did a good job. All in all a great stay. I would highly recommend this hotel to friends and family. Wish we had time to use the lounge - was a nice feature to this hotel. Nice, new hotel. Breakfast was pretty good, loved the omelet makers! Rooms are big and comfy. Fridge was available in our room but not a microwave. Breakfast attendants needed to clear and wipe off the tables faster for breakfast. 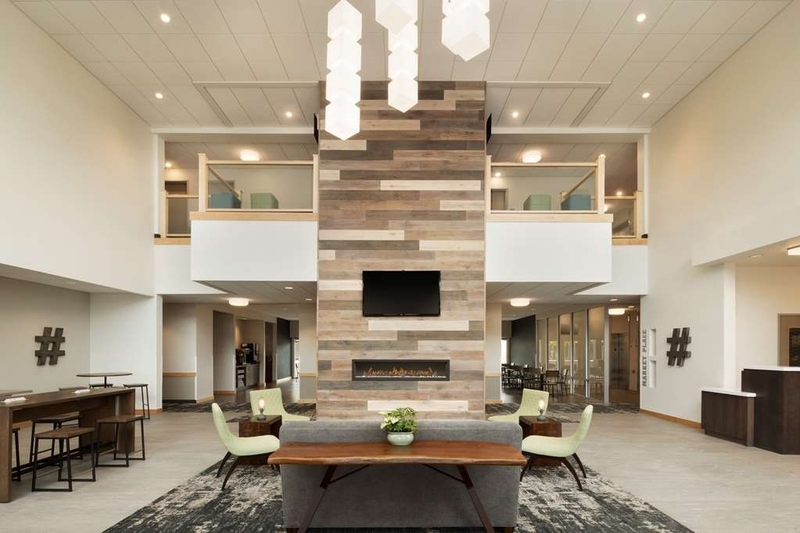 This is a new hotel in a very quite neighborhood. The breakfast was great with a good selection. The staff was friendly and helpful. 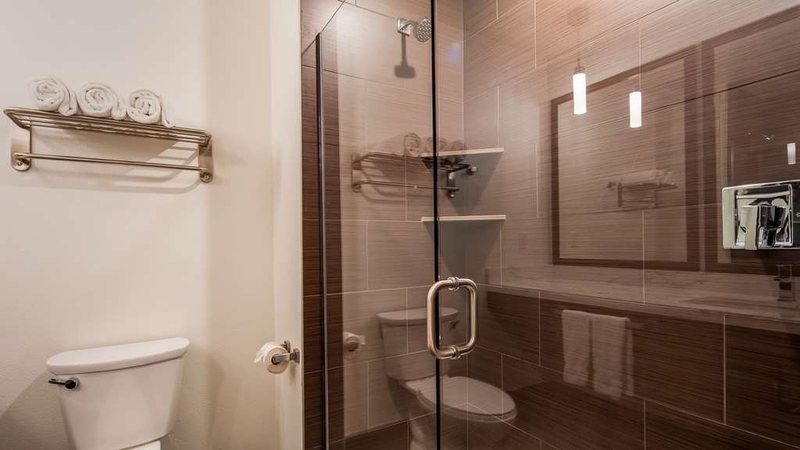 The rooms are large with a great walk-in shower. We would definitely stay here again. "Substandard for a 3 star hotel"
I stayed for 6 nights so I was able to watch and make sure I didn't just hit a bad day. They were all the same. Understaffed to start with. With a couple of exceptions,The staff that there is still needs to learn how to behave in a service industry (i.e. : customer first attitude). Housekeeping was awful. Rooms were not cleaned; sometimes they made the bed and they always gave fresh towels but that was it. Beds were comfortable and the thermostats in the room worked well. Food was good, but they couldn't handle a large amount of people at one time. Location was good for me, but parking limited if there is an event going on at the civic center since they share a parking lot. Not sure if I would stay again. The hotel is new and very clean. However they obviously are working out the bugs. They only had one person staffed at the breakfast - she was running around trying to manage everything. She was delightful but I felt so sorry for her and I know many people were probably frustrated. Very clean hotel with good service. The complimentary breakfast was better than most and the coffee was good. I would certainly stay at this hotel again and would recommend it to friends and business associates. "Brand new but the price is worth it"
Hotel was overbooked. Staff unresponsive to problems. Didn't get the room I had booked for 4 people. One family member had to sleep on the floor because they have no roll-away. Not enough towels. Pillows are flat. Shower door leaks onto the bathroom floor. Just a bad experience. This was my first stay with a Best Western in sometime, I found the amenities and a great value. This property was located to many of the service a traveler could possibly need. Being a brand new facility I found nothing lacking. The only possible draw back may parking during the larger events at the adjacent convention center , I did not experience this. "Best Place to Stay in the Treasure Valley"
This is the best place to stay in the Treasure Valley. Management is superb and the staff are friendly and accommodating. This was the best experience we could have ever asked for. Highly recommended! Thank you Brenda and Jesse for all you do!!! This hotel is beautiful, with very helpful and courteous staff. 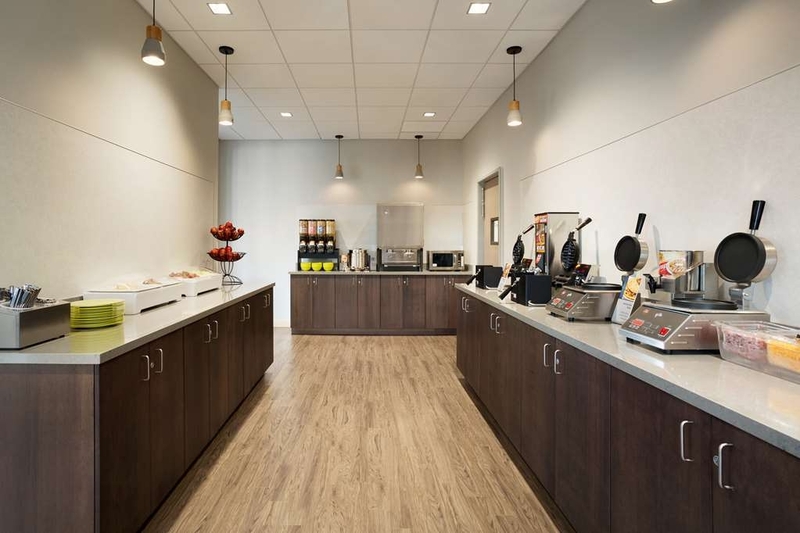 The breakfast area was very nice and offered many options, including an omelette station and fresh cut fruit. Excellent rooms, with comfortable beds, and the pool area was very nice as well. Friendly service Breakfast was not the "standard" powdered food, was actually pretty good. Make your own omelette with real veggies! Quiet and relaxing at night Comfortable beds Good internet Perfect for my business trip! "Great Service, nice place to stay"
We reserved a room at another hotel through an online service. Discovered that the hotel was overbooked. The online service got us a room at BW Plus Peppertree. We definitely believe that we got the better of the deal. Great place to stay, new, clean with great service. When we had an issue with our air conditioner, the front desk had it fixed within 15 minutes. "Nice place... high price for area"
The hotel was very nice and the room was quite modern and I liked the decor... but the room price was way over what it should have been for the area. Nampa ID is not Boise, Portland or Spokane. The room was clean except for the shampoo dispenser had leaked over the shower floor making it quite slippery. The hotel gym was new... but lacked key pieces to make a complete workout so I had to go to a local Anytime Fitness to make my workout effective. The Hotel staff was very friendly and did a great job at check in. "Nice...Just not crazy about the beds"
Hotel and staff were friendly and helpful. The room was nice and really enjoyed almost everything about the hotel except the bed. Just not comfortable for me. But who knows you might like it for me it just didn't work. We arrived on the second day of this new hotel's 'soft opening'. Everything was wonderful, pleasant helpful front desk personnel, large (really large) room with contemporary decor. Comfortable, contemporary common areas, with pool, bar and breakfast area. 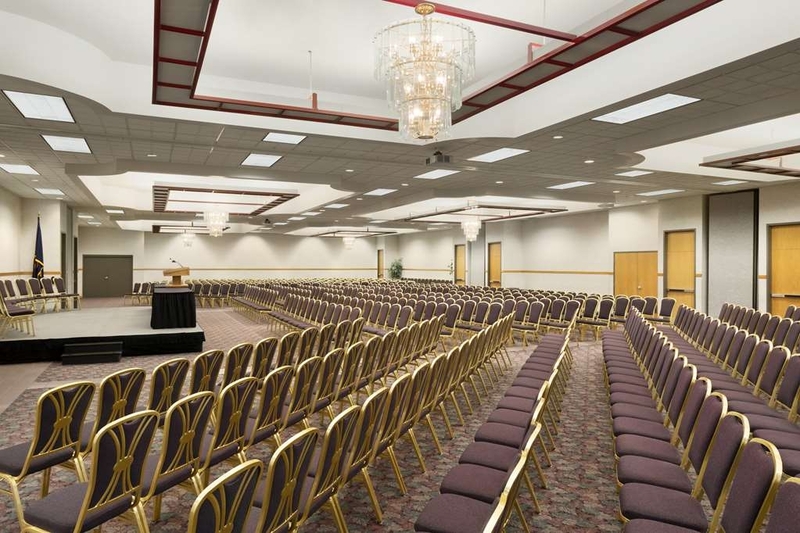 Convenient location 5 minutes off I-84 and next to the Nampa Civic Center. This is a brand new hotel and we arrived at their soft opening. Jesse Morales the General Manager was on top of everything and made sure all was running smooth. I suggested a few things to him and he made a point to write down the suggestions. We were in a room that was never slept in before and everything was working and perfect. The owner of the hotel was at the hotel and we had a chance to say 'hi'. This hotel will make a great addition to downtown Nampa. Great place to stay! Brand new. Friendly and very helpful staff. Didn't get a chance to use the pool or fitness room but they looked great. Pet friendly. Easy on and off freeway. Will definitely come back. This beautiful hotel had just opened a few days before our stay. Large rooms with full walk in shower and very comfortable beds. Indoor pool Hot Tub and fitness center which is open 24 hrs a day. Easy access on and off the freeway. Highly recommended. "Out of State Management "
Out of state management. Current general manager is brash and difficult to work with. I would not recommend any person working in this environment. New hotel. On busiest intersection in Nampa with no freeway walls. Highly recommended BW hotel. Brand new. Clean rooms. Great staff. Breakfast was a treat because they use real cutlery and dishes and have a wonderful omelette machine using real egg mix and fresh ingredients. Thank you!